World wide there are more than two billion video game players in the world and Electronic Arts, who has 275 million active users, generate approximately 50 terabytes of data each day. World wide there are more than two billion video game players in the world and Electronic Arts, who has 275 million active users, generate approximately 50 terabytes of data each day. The gaming industry does $ 20 billion in annual revenue in America alone of which 2 billion in sub-category social games. In the USA, the gaming industry is bigger than the movie industry (with an annual amount of $ 8 billion spent on movie tickets). The world of gaming is big, growing rapidly and taking full advantage of the big data technologies. Gaming companies can drive customer engagement, make more money on advertising and optimize the gaming experience among others with big data. As with any organisation, also the 360-degrees customer view is important for the gaming industry. Fortunately, gamers leave a massive data trail when they play a game. Whether it is an online social game connected via Facebook, a game played on an offline PlayStation or a multi-player game via the Xbox, a lot of data is created in different formats when gamers start playing. They create massive data streams about everything they do within a game. How they interact, how long they play, when they play, with whom, how much they spend on virtual products, with whom they chat etc. If the gaming profile is linked to social networks or a gamer is asked to enter demographical data, the information can be enriched with what the gamer likes in real life and gaming companies can adapt the game in real life to the profile of the gamer. Based on all that data targeted in-game products can be offered that have a high conversion rate. Just like on e-commerce websites were products are recommended based upon what other customers bought, this can also be done within the gaming environment with virtual products. Recommending certain features that other players also bought that can be bought with a product or recommending certain virtual products based on the level the gamer is in. This can result in an increased up-sell or cross-sell ratio and additional revenue. Engagement can also be increased if analytics show that a player will abandon the game if the first levels are too difficult or if later levels are too easy. Data can be used to find bottlenecks within the game, where many players fail the tasks at hand. Or it can be used to find the areas that are too easy and need to be improved. Analyzing millions of player data gives insight into which elements of the game are most popular. It can show what elements are unpopular and requires action to improve the game. Constant engagement is vital and with the right tools the right reward can be provided at the right moment for the right person within the game to keep a player engaged. Big data technologies also help to optimize in-game performance and end-user experience. When for example the databases and servers of the games have to cope with a steep increase in online players, it is important to have sufficient capacity. With big data it is possible to predict the peaks in demand to anticipate on the required capacity and scale accordingly. This will improve the gaming experience (who likes a slow game) and thus the end-user experience. 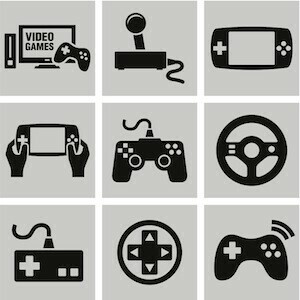 Games that are developed for different consoles or devices (tablets vs smartphone or Xbox vs PlayStation) can result in a different playing experience. When all data is analysed, it can provide insights in how players play the game on different devices and whether there is a difference to be solved. Big data also enable to show tailored individual in-game advertising corresponding with the needs and wishes of the player. With all the data created by gamers, a 360-degree in-game profile can be created that, when combined with open and social data from the gamer, can give insights in the likes and dislikes of that gamer. This information can be used to show only those advertising within the game that matches the profile of the gamer resulting in a higher stickiness factor of the advertising and more value for the advertiser and subsequently more revenue for the game developer. There are ample opportunities for game developers to improve the gaming experience with big data, drive more revenue and improve the game faster and better. Game developers should therefore not miss out on big data, because the benefits for the developer as well as the player are too big to ignore.